A good piece of art can be the “spine” of its chosen viewers. It can select, provoke, inspire, nurture, and excite its audience. I’ve read art referenced as, “…a necessary escape and refuge of the mind from the chaos and trouble-ridden world.” I’m not too sure I like that description. It leans towards locking art into a recreational activity from reality. So, why should you care about it? -The arts unify communities. 67 percent of Americans believe “the arts unify our communities regardless of age, race, and ethnicity” and 62 percent agree that the arts “help me understand other cultures better”-a perspective observed across all demographic and economic categories. -Access to art is linked to better health, safety, and education in lower-income neighborhoods. -Art Therapy shows promise as a means of treating hard-to-treat symptoms of combat-related PTSD, such as avoidance and emotional numbing, while also addressing the underlying psychological situation that gives rise to these symptoms. “One of the most valuable form of stress reduction and relaxation is the enjoyment or practice of art.” To me, it sounds like the beginning of a solution to long term problems. That’s the hurdle advocates face, the misunderstanding of long term importance because of short term ideology. It matters because of the emotions it invokes. Emotions and intentions are what anchor art to us. So, would you like more art in your life? Talk to me, how would you do it? Will you venture down to your local art walk and bring your friends? Would you finally go, take that yoga or dance class you’ve always wanted to try? Could you rent out a studio space to photograph the composition in your head? Dare to see that there is more to you, that is the art of your originality. When BlogPaws first approached me with photographing their event, I thought taking pictures of puppies and kittens was one of the coolest jobs offers this year! “If BlogPaws had an MVP award, photographer, Carl Kerridge would’ve won it, hands down. Between the attendees, brands, and sponsors, there were a lot of moving parts at the conference. Carl was sticking and moving in and out of rooms catching the pivotal snaps with the prowess of a professional boxer. And the best is, he had a smile on his face the whole time and could not have been more pleasant. At one point, I was going to ask if he had an identical twin brother. I couldn’t comprehend how one photographer handled the entire conference. If I didn’t see it with my own eyes, I wouldn’t have believed it. Carl is the real deal. The “identical twin” comment made me laugh! It truly was a great experience. For my lovely readers, I put together a post so all my puppy and kitty parents could enjoy these fur-babies. To read more about all of those wagging tails, check out the full article on BlogPaws here. I hope to see everyone again and welcome new visitors at the next conference! We’re going to Kansas City, Kansas City here I come! Abu Doggie totally approves! We had a rainbow reception and the weather in Myrtle Beach was Just Cizlin’! Cass was stunning as she waited to put on, or should I say glue on, her wedding dress! Her momma beamed with pride when she turned towards her. 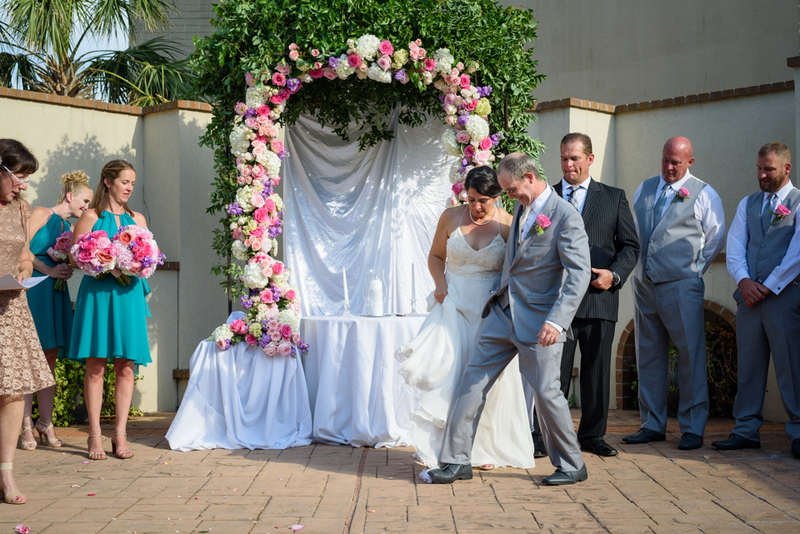 Our bride and groom were wed at St. Michael’s Catholic Church first outside of Myrtle Beach. The Priest was energetic and purposeful as he reminded us, we choose to continue loving our partner everyday with a selection of “4” letter words. He revived our hope for the future’s lows and its beautiful highs. Our couple rivals even the best romance novels. Cass and Mark are a real life love story. This dynamic duo were partners in crime long before Team Cizler was shouted in Myrtle Beach, but what brought them to the Grand Strand? Myrtle Beach is where Mark first said, “I love you,” to his Alabama Belle. Look how Mark sneaked one more kiss before their grand entrance and first dance performance. Perfect 10! 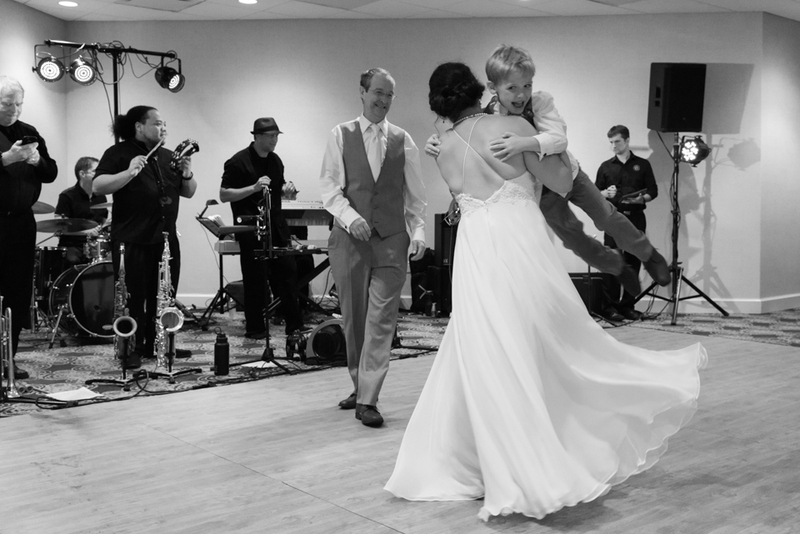 I want you to feel all the emotion that wrapped around the couple for their wedding day. Friends and family flew and drove hours to attend their union. This wasn’t just another friend’s wedding in Myrtle Beach. The Cizlers’ wedding guests are a part of the roots that support them in everything they do. It was evident in every heartfelt speak, every invitation to dance, and every laugh they shared. Everyone is family.